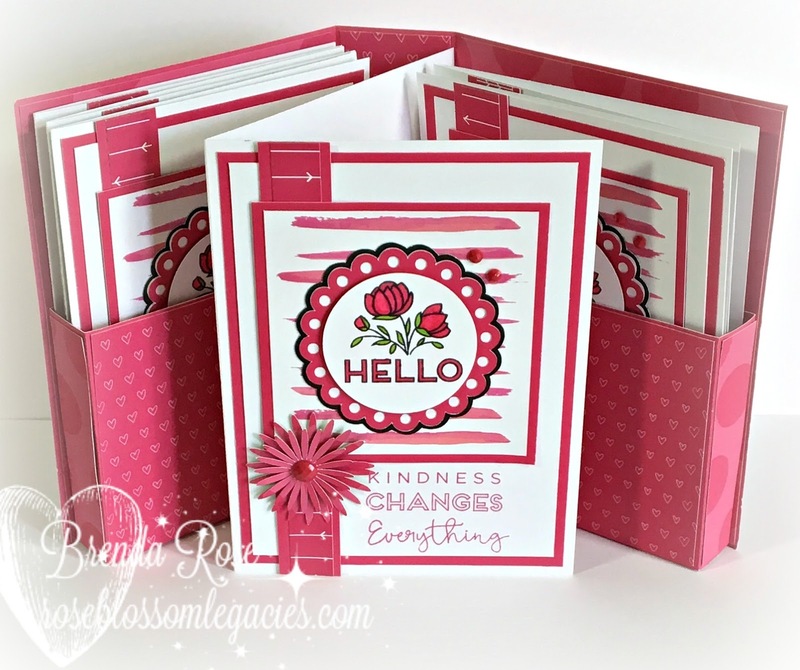 Rose Blossom Legacies: Create Kindness Kit...Time is Running Out! 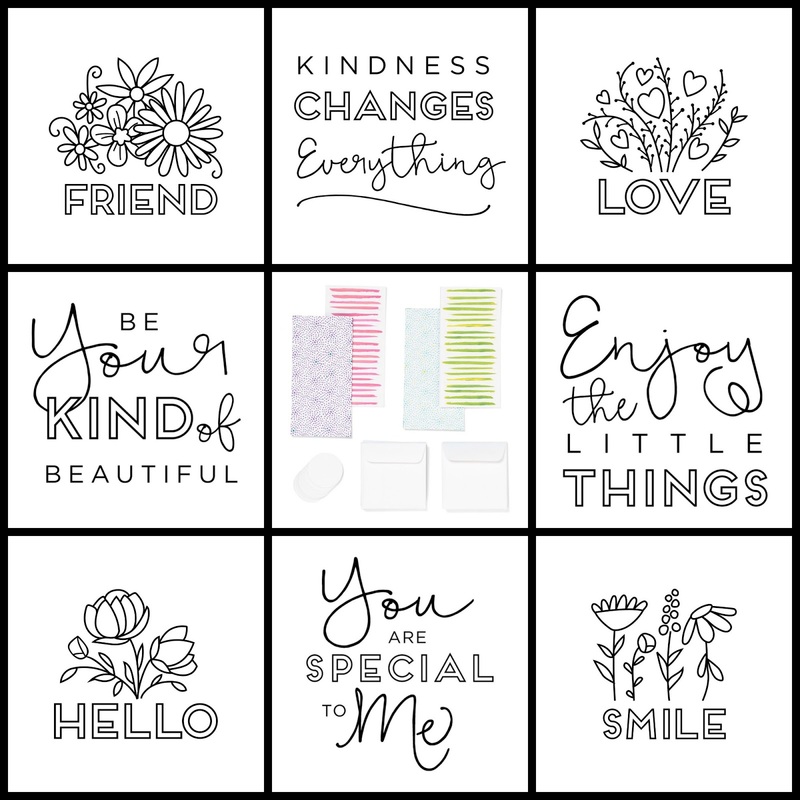 Create Kindness Kit...Time is Running Out! There's just a precious few days left to order your own Create Kindness Kit. This is a wonderful box full of 8 stamps, card bases and envelopes, a block, and ink. Absolutely everything you need to create happy cards to share with those who need a lift. My team is having an Operation Smile crop next weekend, so I put together a set of cards in a folder. 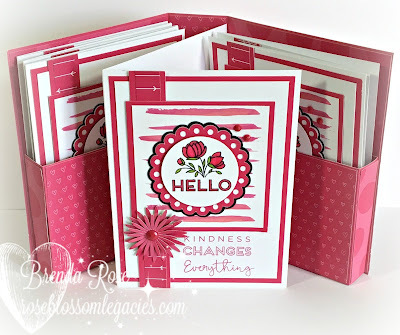 I paired the Create Kindness kit with the raspberry papers from Adventure Fundamentals. After making a simple folder with pockets, I used Flower Market to make this fun flower on the belly band for the folder. 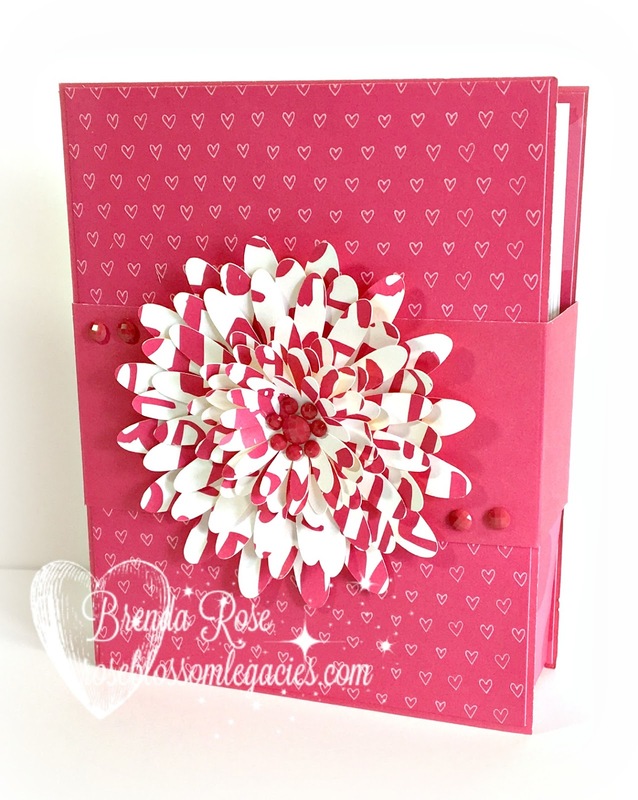 The folder holds six cards, and it is a lovely gift! If you are on the fence, don't wait too long! This special sale ends on Friday! 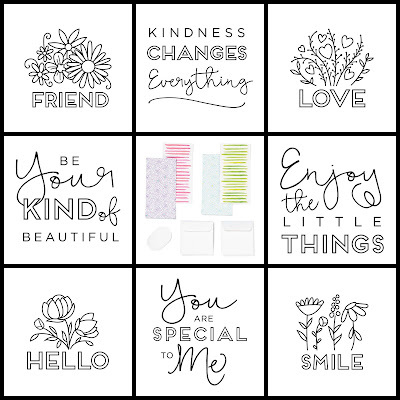 These are the stamps and card bases that come in the Create Kindness Kit.